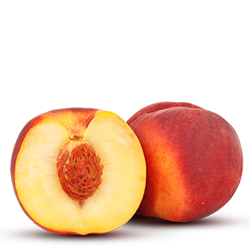 The volume of peaches distributed by the company is approximately 6,500 tons annually, from the regions of Pella and Imathia. The philosophy of “SULCE L. LEDION “is to supply its customers with quality products. For this reason, the company follows the strictest standards throughout the production process. The production is certified by the Certificate Agency Euro Cert, under international protocol Global Gap and also the ISO 22000 standard for safety management. Η συγκομιδή αρχίζει, τέλη Μαΐου και ολοκληρώνεται στα τέλη Σεπτεμβρίου.